Pro Removalists has been tirelessly helping people move for over 20 years. We believe that moving is an experience people should get to enjoy. Our dedicated removalists are ready to assist you in everything home or office relocation related. As guaranteed professionals,we see to it that your belongings will be handled with extreme caution and care. We have everything covered for you. 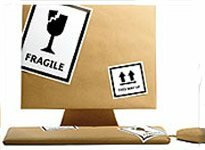 From precise packing to easy unpacking, you can rely on us. No matter where you are, what you want, and when you need it, Pro Removalists will come to your rescue. Is hassle-free office relocation possible? With Pro Removalists, it is 100% possible! We do all of the planning, the packing, and the unpacking for you. All you need to do is to sit down, relax, and enjoy the moving experience. Home relocation has never been this easy! We will turn your exhaustion to excitement as we do all the work for you. Be prepared to receive professional packing, moving, and services at an incredibly affordable price. Lacking the time and energy for packing? Pro Removalists also offers professional packing services! With our professional removalists and quality equipment, there’s nothing to worry about! We will ensure the smooth flow of your home or office relocation. Pro Removalists Sydney offers an incredibly competitive rate for removals services. We are straightforward when it comes to discussing the costs and any potential additional charges. Contact our office for a free quote! Relocation of all sizes, so there’s a removal package for everyone. so that you can enjoy “peace of mind” – knowing your assets are protected. We assure you that your most prized possessions and furniture will be handled with care by our removalists and will arrive your new destination safely. It doesn’t matter how many or little the job will be for us, as long as you need help, we will be there. We offer a rate with no hidden charges. 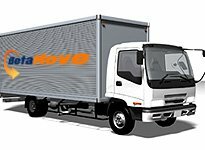 BetaMove will make certain that our professional removalists will exert extra effort for your convenience. but If I do I will definitely use them again AND would recommend them to all my friends. Good to be all settled in the new place." "Deniz and his assistant did an amazing job at a fantastic price. They were very professional, had excellent communication, and were upfront about the costs. We had a lot to move including a pool table and they moved everything with ease. No problem was too small, and even the bulkiest and heaviest of items they had a solution for moving. Hoping not to move again anytime soon, but If I do I will definitely use them again AND would recommend them to all my friends. Good to be all settled in the new place." "They were very efficient, very careful and very polite and respectful." "Andrew communicated well. Called me back. Called me even if he was running 5 minutes late. He arrived when he said he would, and picked up and delivered my stuff without any issues. What more could you ask for ! " "Andrew communicated well. Called me back. Called me even if he was running 5 minutes late. He arrived when he said he would, and picked up and delivered my stuff without any issues. What more could you ask for ! " offer costs & fees that most removalists had was the reason I chose this company & I am extremely glad I did. recommend you to my family & friends." "I would highly recommend Pro Removalists. I found Deniz and his partner to be by far the best removalists I have ever had (& I've had a few). They were extremely fast, friendly, professional & accommodating Deniz made by moving experience a lot less painful. The fact that they did not charge until they arrived at my door& didn't have all the offer costs & fees that most removalists had was the reason I chose this company & I am extremely glad I did. Thank you so much to Deniz & his parter (sorry I didn't catch your name). You were both fantastic & I will definitely recommend you to my family & friends." much trouble with Deniz making sure of the placement of furniture and also offering to reattach the hoses from my washing machine. work later in the year and would always use him again and would recommend him to all my family and friends as well!!" "I just hired Deniz from Pro Removalists removals last week. We moved a 3 bed 2 storey townhouse in Sydney down to a 2 storey house at the top of a very steep, winding driveway in Wollongong which the truck couldn't get up so the guys had to carry everything up a very steep driveway. The guys only charged from the time they got to our place till the minute they were finished. There was no back to base fee or any money required for petrol. They worked their absolute butts off all day without stopping and nothing was too much trouble with Deniz making sure of the placement of furniture and also offering to reattach the hoses from my washing machine. I've had many movers over the years but none so fast nor so reasonably priced. I have already tentatively booked him in for 2 days work later in the year and would always use him again and would recommend him to all my family and friends as well!!" that was too high for me to reach - not in their job description. Nothing was too much trouble... "
"I have no hesitation in recommending Pro Removalists to family & friends. Denz and Sam were fantastic they worked fast, very professional and most of all were very careful to ensure nothing was damaged. Thank you for the great customer service before and after the move. Sam even cleaned the fan that was too high for me to reach - not in their job description. Nothing was too much trouble... "
"Awesome job very hard working crew. I highly recommend them to anyone needing to move. Thanks for the great job you've done! Mario..."
"Awesome job very hard working crew. I highly recommend them to anyone needing to move. Thanks for the great job you've done! Mario..."
to readjust the furniture once installed if I found I didn't like it in the spot I had chosen. Would definitely recommend." "Deniz and his colleague did a fantastic job for me. He worked like the Energiser Bunny from morning to night, which given they were charging by the hour was brilliant. He was completely professional and polite throughout the job, not only to me, but also his colleague. He strived to protect my furniture and my home, and was quite ready to readjust the furniture once installed if I found I didn't like it in the spot I had chosen. Would definitely recommend." Pro Removalists to anyone! " "Andrew & Deniz were great! The whole thing went very smoothly and they were really friendly, helpful and efficient. Called me and let me know when they would arrive, got the job done and all with a smile. My first time using ServiceSeeking.com.au and I would highly recommend this service and Pro Removalists to anyone! " "Very professional & prompt through the entire procedure. Thank you Andrew & Mitch. Fantastic Service, would highly recommend ! " "Very professional & prompt through the entire procedure. Thank you Andrew & Mitch. Fantastic Service, would highly recommend ! " customer service it was very much appreciated on the day. " "I have no hestiation in recommending Pro Removalists Removals to family & friends. I was let down my another removalist just after Christmas, I then rang Andrew on the same morning (Saturday) and he was there within 2.5 hours to make my move happen. Andrew & Chris were fantastic they worked fast, very professional and most of all were very careful to ensure nothing was damaged. Thank you for the great customer service it was very much appreciated on the day. " "Andrew and his team work incredibly fast and even stayed late to get a big job done properly. great guys. Will definitely hire again when we move in a year. " "Andrew and his team work incredibly fast and even stayed late to get a big job done properly. They paid extra attention to strapping things up safely and using extra blankets and covers to ensure our goods arrived safely. Best of all they were a pleasure to do deal with and genuinely great guys. Will definitely hire again when we move in a year. " a big deal for us to know that someone would meet us and help us, on time, and on cost. " " Andrew and his mate Dennis turned up before they said they were able (!) and completed the job happily and efficiently. As we were coming from Wagga Wagga to pick up a piano in Sydney, it was a big deal for us to know that someone would meet us and help us, on time, and on cost. " Pro Removalists is a family-operated business located in Sydney. You will be assisted by our removalists regarding everything about your home or office location. Our removalists, who are devoted professionals, will see to it that your furniture, fragile items, and packing and unpacking will be done with caution and care. No matter the distance of the relocation of your old home or office to the new one, rest assured your experience with our Sydney removals service will be worry and stress free. Relocating your office can be nerve-racking, especially if you have no idea what to pack first. Pro Removalists’ Sydney removalists can minimise your stress by helping you in the packing and unpacking, and also in the assembly and disassembly of furniture, so you can plan your strategies to minimise the impact of the relocation to your job. Most of the time, moving to a new home can be exciting while also simultaneously exasperating. Pro Removalists home removals in Sydney can help you in your home removals and give you an efficient service at a reasonable and affordable price. You can depend on our Sydney furniture removalists who can help you move from one place to another without the usual hassle. We understand how stressful moving your piano can be, but you don’t have to suffer alone. Our team is well-experienced in handling pianos of different kinds and sizes. We take pride in our quality equipment and well-maintained trucks. With our piano removal services, you can be rest assured that your piano is in good hands. 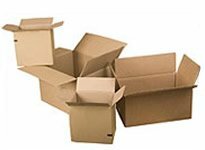 Well-packed boxes and cartons can be crucial and might just dictate how smoothly your move goes. When your belongings or work supplies are organised well and packed into sturdy boxes, your chances of conducting an efficient and fast move increase exponentially. Ensure your move is conducted as smoothly and hassle-free as possible with Pro Removalists. If you are looking for great rates for removalists, Sydney’s Pro Removalists offer incredibly competitive rates. We are straightforward when it comes to discussing the costs and any potential additional charges. Our mission is to ensure your move is as smooth and stress free as possible, without breaking your budget. Contact our office for a free quote! We understand how stressful a move can be, especially when you have prized possessions and furniture that hold a special place in your heart. We know that many of these items cannot be replaced, and that if they are broke or even scratched, it can be crushing to your spirits. We assure you we will handle your possessions and furniture with the utmost care so that it arrives at your new destination safely. It does not matter how large or little the job will be for us, as long as you need help, our Sydney removals service will be there to help you conduct a smooth and headache free move. Best of all, we offer a rate with no hidden charges. Whether you need to move from your office or home, we take pride in our straightforward service, and Pro Removalists will make certain that our professional removalists will exert extra effort for your convenience and ease.
. Pro Removalists has been serving movers for over 20 years!
. Our moving boxes are free!
. 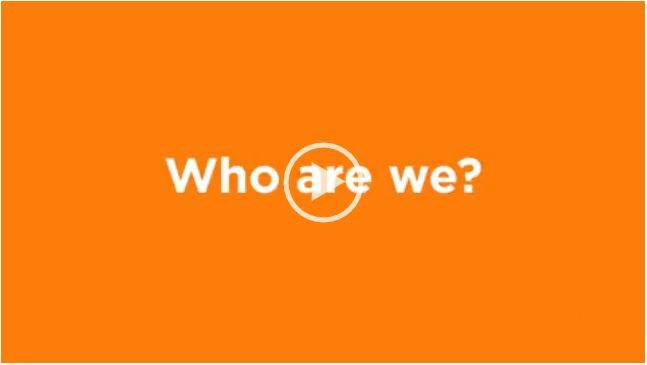 Our team of professional staff is always ready to assist you with your inquiries.
. Distance is not a problem for us! We will help you move from not only state to state, but also country to country!
. Our services are affordable without any hidden costs. Don’t settle of anything less! Pro Removalists is guaranteed to make your moving experience unbelievably smooth, easy, and stress-free! You can be the newest addition to our long list of satisfied and valued customers. Your call is important to us. Our friendly staff is always ready to answer your enquiries and bookings. Also, if you call us right now, you will get a FREE quote and a FREE friendly advice. All you have to do is to reach out for that phone. So what are you waiting for? Facing an office relocation is always daunting and stressful. At least, that’s what I’ve always thought until Pro Removalists proved me wrong. They really impressed me with how professional they are in handling all different sorts of things. From packing to cleaning, everything was just a smooth process. The staff were also very friendly and helpful. It was an absolute delight working with them. I will not hesitate to recommend them to anyone who needs relocation services. It is inevitable to worry when you need to relocate with highly confidential files and expensive office equipment aboard. We needed a reliable moving service who’ll understand how much we value security and professionalism. Pro Removalists met our expectations and even exceeded them. They truly understand what their clients need and how to provide them properly. In our next office expansion, we will surely book them again. Relocating your office can be nerve-racking especially if you have no idea what to pack first. Pro Removalists Sydney removalists can minimize your stress by helping you in the packing and unpacking, also in the assembly and disassembly of furniture, so you can plan your strategies to minimize the impact of the relocation to your job.